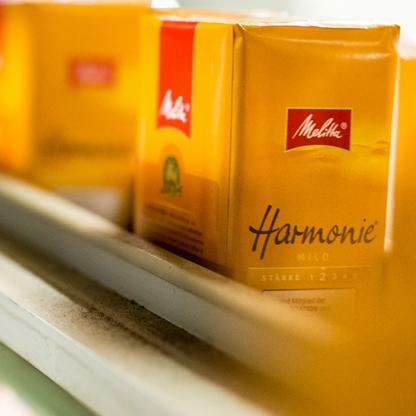 Melitta® is a strong brand, not only in the end consumer segment. In the hospitality sector as well, the Melitta® brand is synonymous with high product quality and outstanding coffee enjoyment. The offering for business customers includes, in particular, bean-to-cup machines under the Cafina® brand and filter coffee machines. Moreover, a wide selection of coffee and cocoa varieties, Melitta® filter papers as well as tableware are offered under the Melitta® brand as well. The product range for the hospitality sector is rounded out by a variety of different teas, for instance under the Cilia® brand. The point of contact for business customers is the Melitta Professional Coffee Solutions business unit. On top of the products mentioned above, the company also offers its own, full-service technical customer service, advisory services on the selection and usage of professional coffee machines, tailored financing concepts as well as target-oriented marketing support for hotels, caterers, bakeries and other gastronomy. The Melitta® brand is represented worldwide in the hospitality sector.